Sundays are my favourite days where I usually dedicate myself to baking some yummy treats ready for the week ahead. To get us straight on the way, I chose this recipe (one of my classics) as I love cinnamon, muffins and chocolate… what better way than to combine all three?! These are so yummy and such a delicious munch when you are feeling a little stressed throughout the week with work or what not. They taste extra good when you warm them up in the microwave for 15 seconds! They always go down a treat and are SO easy to make… and they look pretty don’t you think? Mix in the egg, vanilla extract and milk. 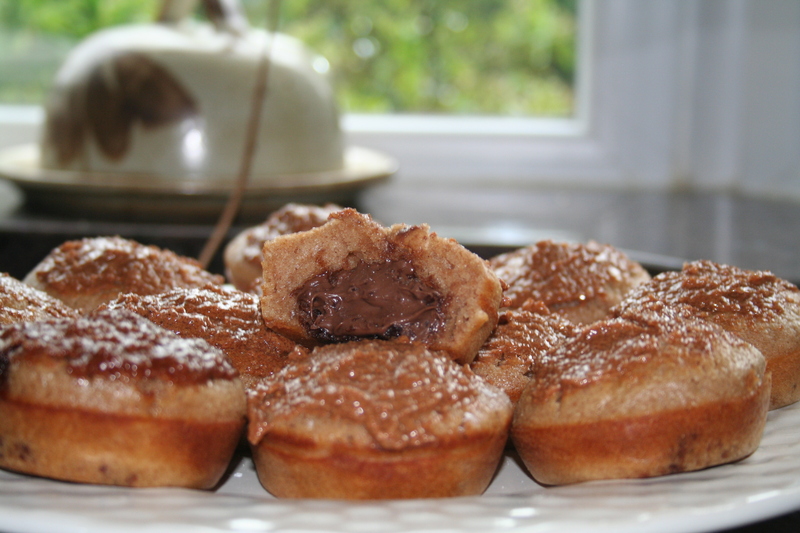 Spoon one tablespoon of batter into muffin case, layer with 1 teaspoon of Nutella in the centre and then another tablespoon of batter on top. Bake for 5 minutes at this temperature then reduce to 180 degrees and bake for an additional 10 minutes. 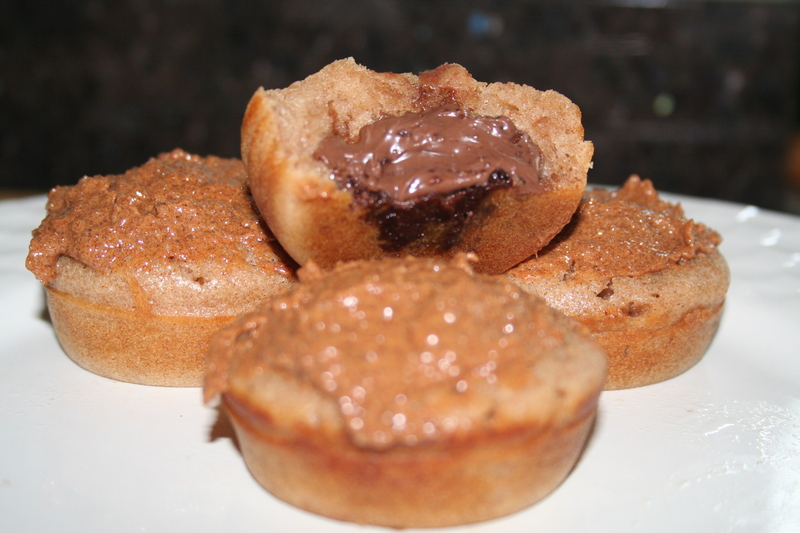 Dip the top of each muffin into the melted butter and then into the cinnamon-sugar mixture. 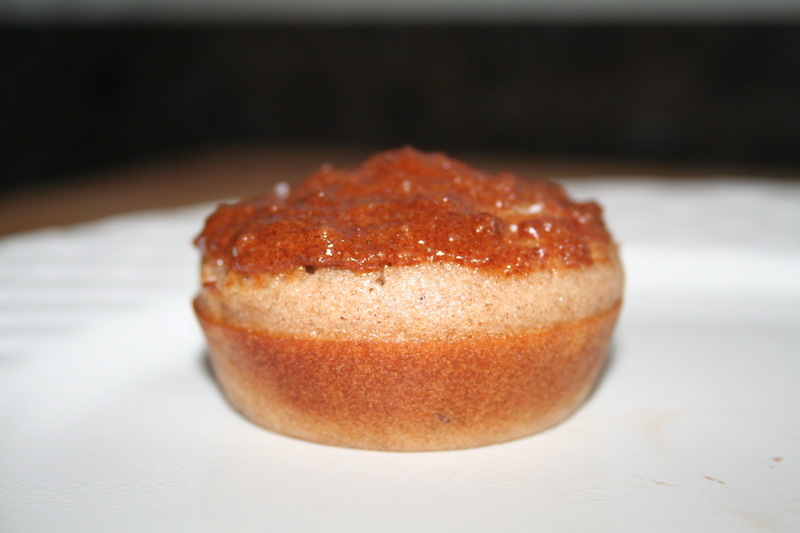 Muffins stay fresh in an airtight container up to 1 week. 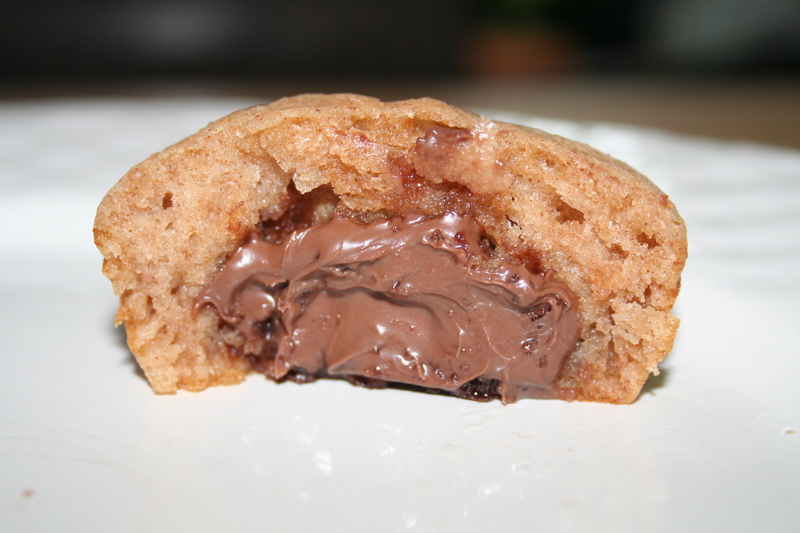 Muffins freeze well, up to 3 months.